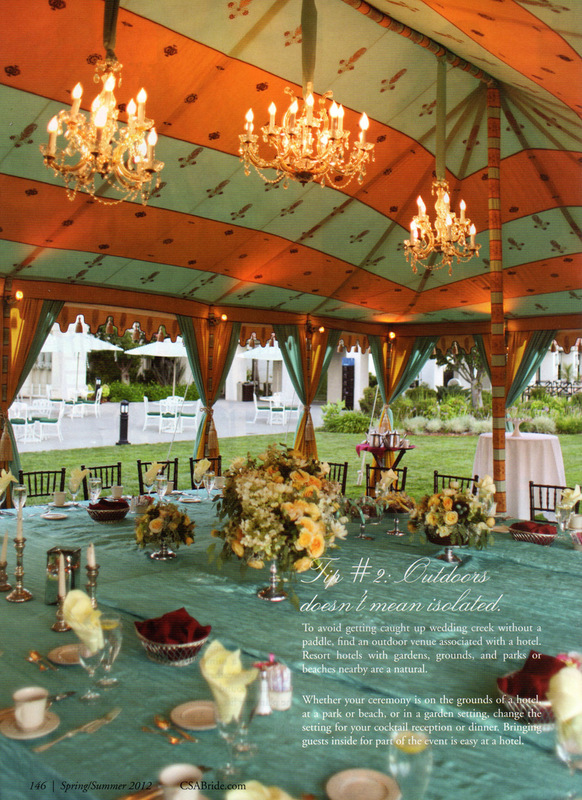 The latest edition of California South Asian Bride is available in hard copy or for your iPad. 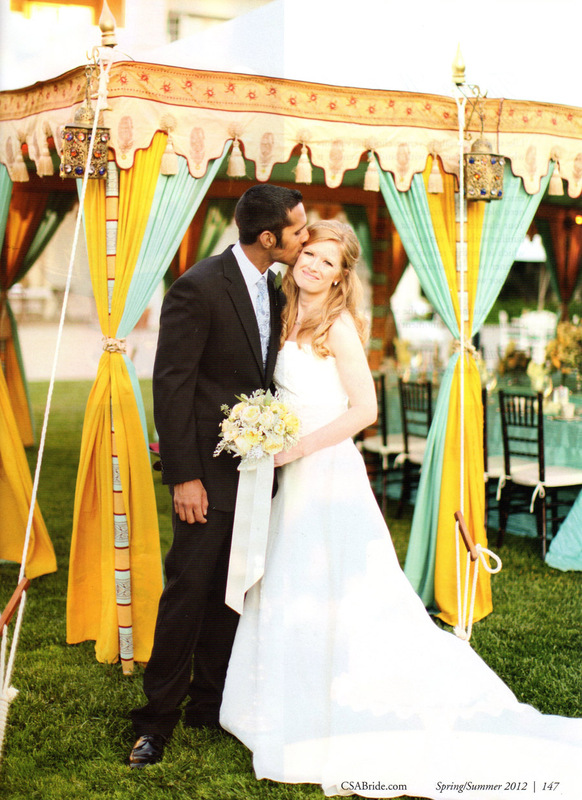 I was so glad to be reminded of Julie and Jehaan Matthew’s wedding at the fabulous Dolce Hayes Mansion. We don’t get to use our Dove Egg and Sand color way nearly as often as we should, so I hope the pictures inspire you to ask for it as it’s available for all our range of luxury tents. 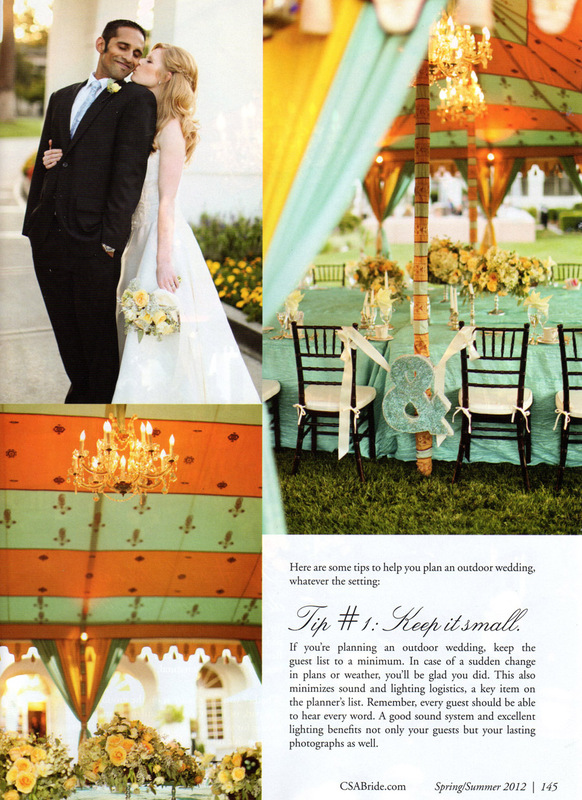 The Maharaja dining tent was very elegant with crystal chandeliers and a single large square table for the guests - that provided an expanse of turquoise silk for Royal Bloom’s flowers and candles, creating a much more spacious banquet setting than is usual. Wendy Harrop of It’s Your Day pulled all together beautifully and even managed to film a segment for New Wedding Planet’s on-line wedding tutorial on the same day. Many thanks to Colson Griffith Photography and Gem Photo for the fab shots. Thanks to the California South Asian Bride editorial team for another great issue – Arunshi Sinha, Anu Kota and to Rachna Bhatt of Henna and Beyond.